In 1683, the Guildhall in Guildford, Surrey was refurbished, which included the addition of a council chamber, a balcony over the street and a bell turret. 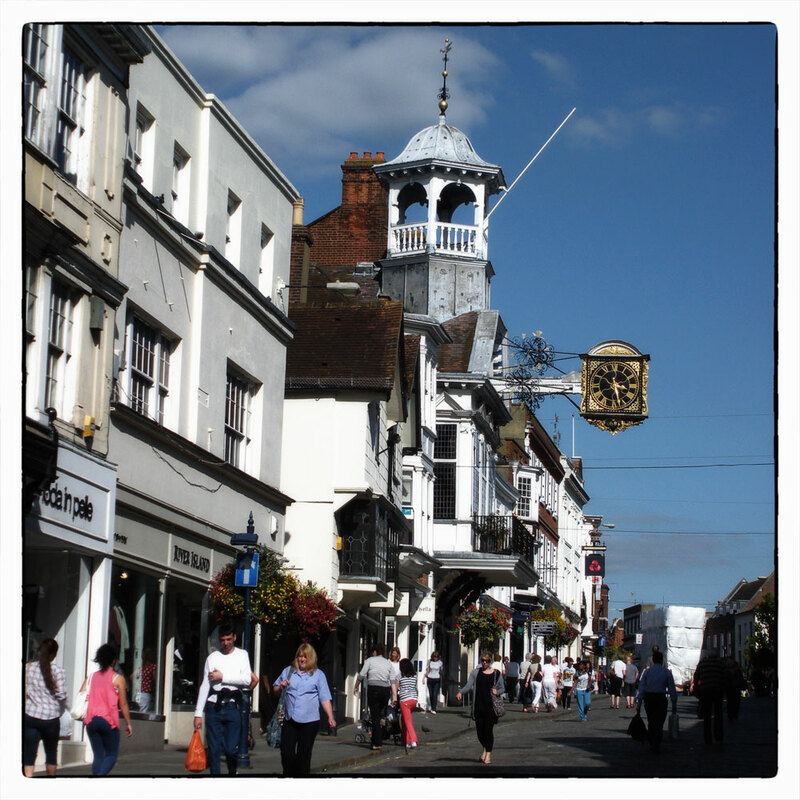 The clock is supposed to have been presented to the Council by a London clockmaker, John Aylward, who presented the projecting clock to the Corporation of Guildford in return for freedom to trade in the borough. Remaining in Prague for Day Two and two images of the marvellous Daliesque-like melting clocks. Time pouring away? Time slipping through your fingers? Personally I love the little poached egg clock in the window and regret that I didn’t buy it at the time. A clock tower on a former coach house in Ludlow. For my penultimate March Square here is a photo of my very large wall clock. Time is almost over for the very interesting challenge hosted by Becky (“A life of a 40 something”). I hope she and you have enjoyed my dips into the archives this month. And now it is almost time for a rest I think.